I can’t quite believe we’re almost 3 weeks into the Summer holidays already, I had so many plans and a huge wish list of things I wanted us to do, but so far haven’t managed to tick many off. Mostly my wish list is fun outdoor things like making a new water wall, finishing our fairy garden and making a water balloon piñata, unfortunately these tend to get pushed aside by more mundane tasks, which I intend to rectify over the latter half of the holidays, fingers crossed the sun comes out for us. Luckily Marks and Spencer gave us a very much needed helping hand in the form of a lovely Sports Day package full of school uniform, sports kit and outdoor toys, Everything we needed to host a fun sports afternoon with friends and gave me a lovely kick start in my getting ready for school organising. We decided on space hopper races, and a how many skips can you do in one minute competition. 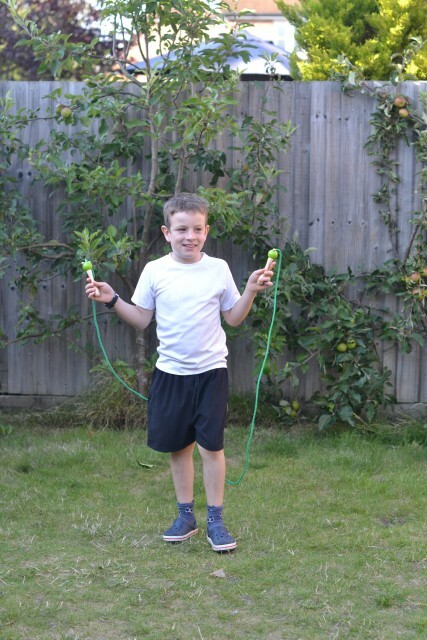 Everyone loved the super cute frog skipping ropes and Zak is so pleased with his white sports top and sports shorts, both have Active Sport™ finish to help keep him cool and fresh, but it was the quality that really impressed me. I usually just buy cheap t-shirts for school, but this one feels and looks so much better that I’ll be buying the girls version for my daughters before school starts. The shorts are also fantastic with pockets in the front and a zip pocket in the back, Zak would wear these for the sports he does out of school as well as at school, in fact they’re almost too good to be left in a P.E bag all term. I might buy a second pair of those too. The girls are modelling a black skort, which I thought would be a fun alternative to PE shorts and base layer shorts which will hopefully help keep little Sydney warm in Winter, both are super comfortable and fit brilliantly. We had so much fun at our sports day that we’re hosting another one with different friends next week! What’s on your Summer bucket list? Have you started working your way through it it yet? We had so much fun at our sports day, thank you Marks and Spencer for the awesome clothes, space hoppers and skipping ropes. 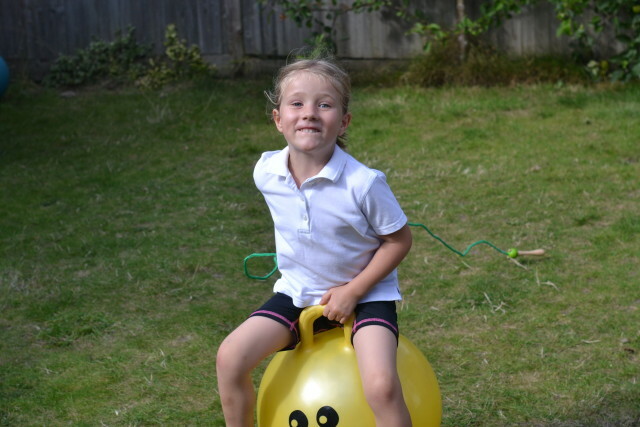 I remember Space Hoppers from when I was a kid! oohh what fun! Marks & Spencer have a wonderful range of clothing for children. angela hamilton recently posted..What Would You Do? Sarah Bailey recently posted..The impact behind texting while driving. 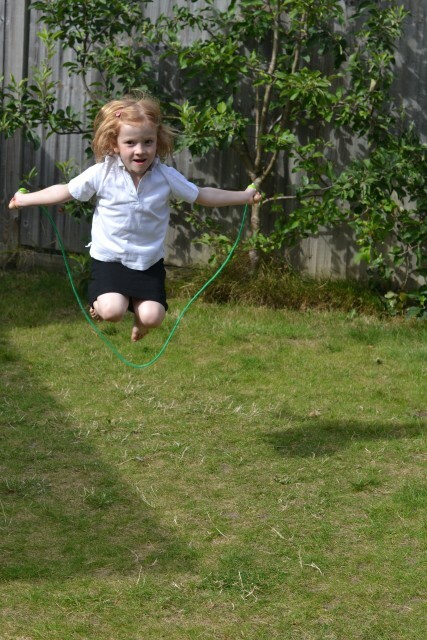 Yes I love doing this with my two kids in the garden its so much fun. 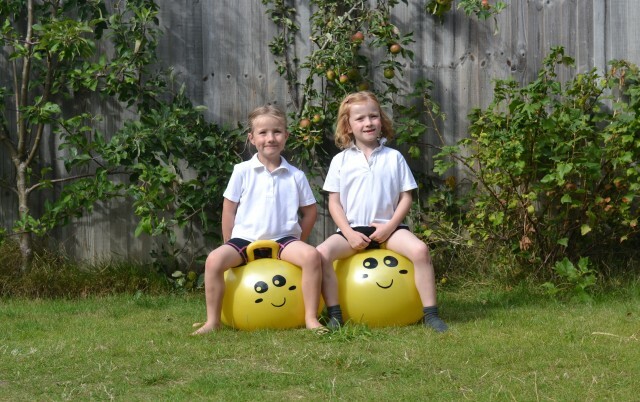 What a great idea for a Summer play date activity … can’t beat a space hopper race. I’d join in with that! We used to do our own sports days – looks like you had a blast!! love this! We had a sports day with all of Max’s friends at the park. Was so much fun. 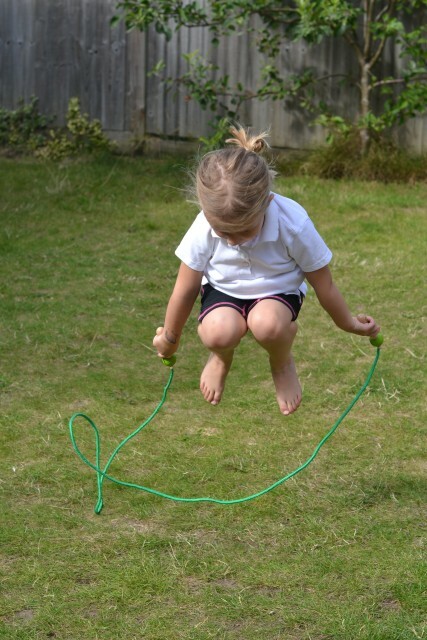 We often do this sort of thing in the garden, although it’s usually just me and my son competing.